YAY!!!!! Spring is finally here!! Our snow is all gone - all be it replaced with rain, rain and more rain - but what can one expect when one lives in a temperate rainforest, right? 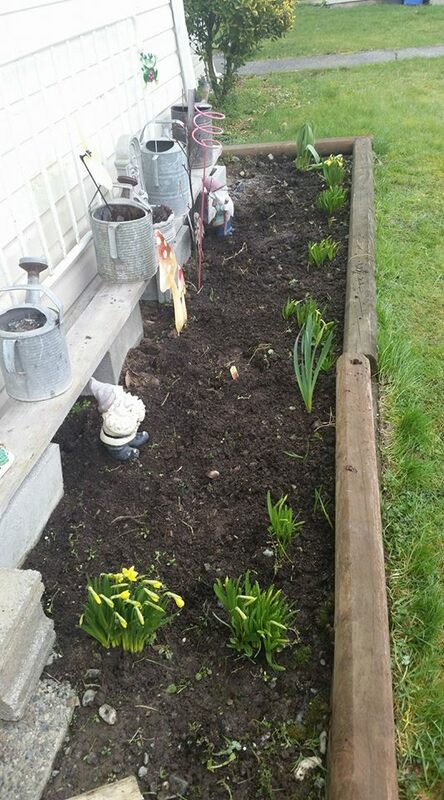 I could not resist getting outside on the first day of spring to dig in my front garden! I pulled weeds and cut off things I should have done in the autumn. There are miniature daffodils blooming in my garden, adding a splash of cheeriness to contrast the dull greys and browns already out there. 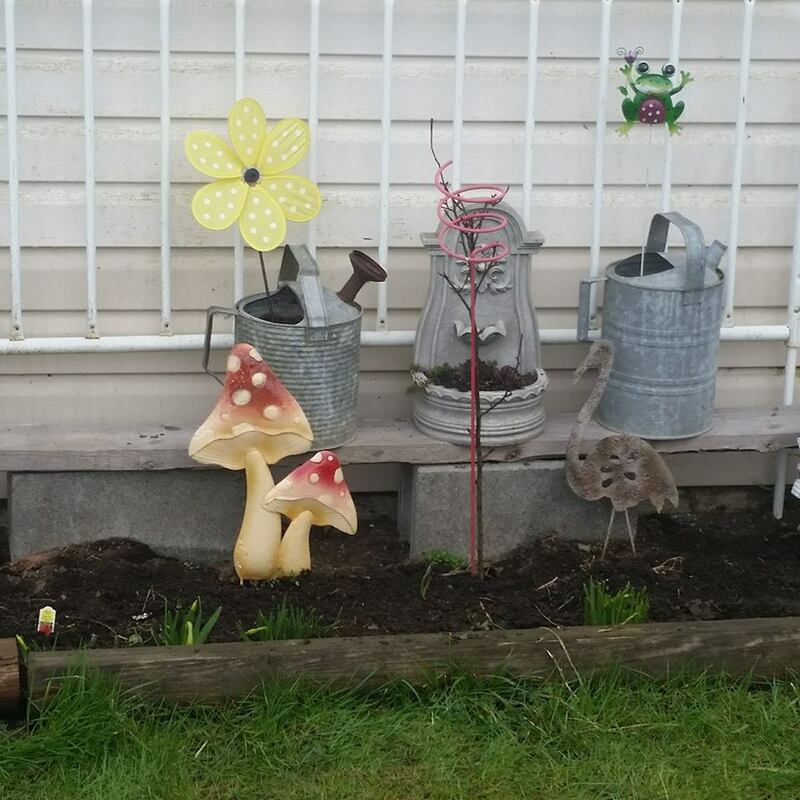 I pulled some of my plant pokes from their winter storage and brought out my two garden gnomes just to brighten the space up until it is time to add flowers and other yard ornaments. I have many plans for this little space and can't wait for sunnier days to get here!